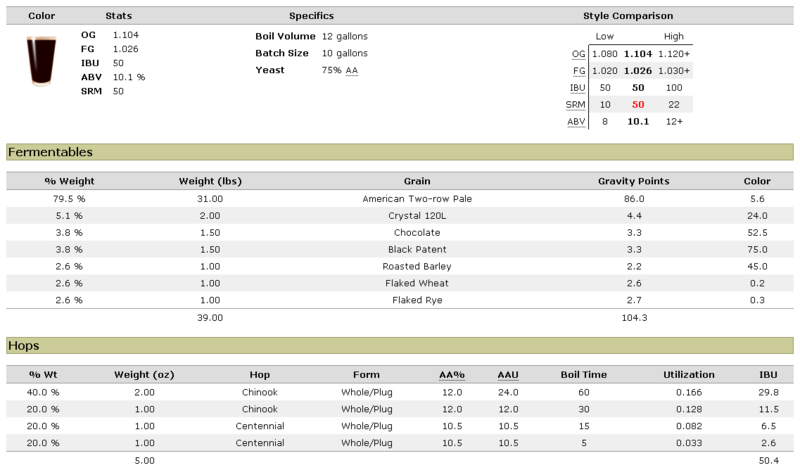 You may have noticed these brew recipe sheets and I would just like to take a moment to recognize the developers of the tools hosted at TastyBrew.com. They have an amazing selection of online applications which make developing recipes a whole lot of fun. Using thes tools you can predict how a certain recipe will turn out, with measurements of bitterness, gravity and even color! They also have some great infusion mash calculators and brewery efficiency calculators so check them out!